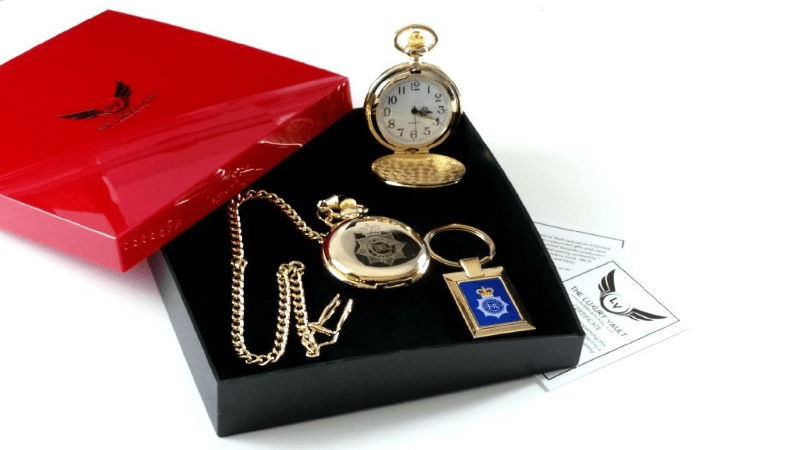 Get this luxury well presented police gift for that Police officer or Police Staff! Comes in a wonderful gift set and really make the best leaving or retirement gift! 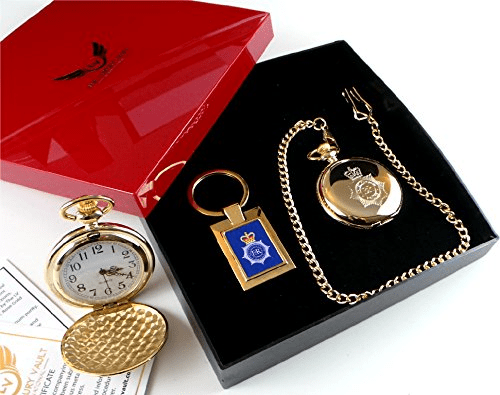 Check out this Luxury British Police Forces Pocket Watch gift set! This really is a wonderful leaving gift, retirement gift or birthday present! It is Gold plated quartz with a full hunter chain and case! This really is one of the most well presented Police Gifts you will find out there today! Very desirable, it comes in the gift case and has a certificate included! So what are you waiting for? If you need a gift for that special detective, uniform officer, special constable or police staff then buy this today, you won’t be disappointed!